California State Prison Corcoran inmate Juan Vallejo Corona, 85, died of natural causes Monday at an outside hospital, according to an online public statement by the California Department of Corrections & Rehabilitation. Corona was serving 25 concurrent life sentences for 25 counts of first-degree murder. His victims were all migrant farm workers. In 1971 ,25 bodes buried in orchards along the Feather River in Sutter County were found—a record-setting number of murders in the United States at the time. All of his victims were men who had been seen with Corona or had been hired through Corona’s Sutter County labor contracting business. Corona, referred to as “machete murderer” by the press, was tried in Colusa County, found guilty in January 1973, and sent to state prison one month later. He barely survived a stabbing attack in 1973 while at California Medical Facility in Vacaville that cost him the sight in his left eye. In 1978, an appellate court overturned Corona’s conviction, and he was granted a new trial. In 1981, he was admitted to a Correctional Training Facility in Soledad as a safe-keeper commitment until the proceedings were moved to Alameda County. In 1982, Corona was again convicted of all 25 murders, sentenced to 25 concurrent life sentences, and began serving time for the Sutter County commitment. One decade later, Corona was transferred from Correctional Training Facility to the Protective Housing Unit at California State Prison Corcoran, a unit that houses inmates whose safety would be endangered by general population housing. Corona was denied parole eight times, most recently in 2016. Featured Photo: Juan Vallejo Corona. Source: California Dept. of Corrections & Rehabilitation, March 23, 2018. First springtime walnut irrigation can be delayed, according to a UC Cooperative Extension team in Tehama County working on some fascinating research regarding irrigation practices. 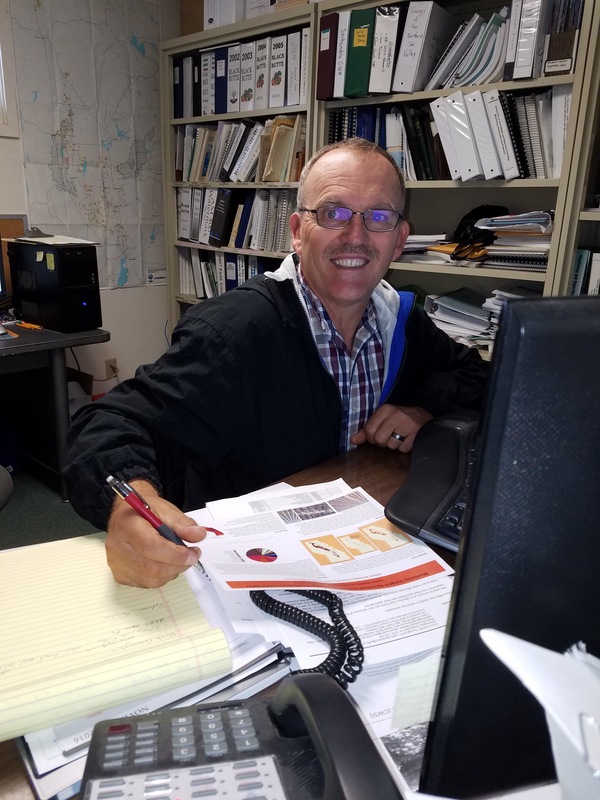 Allan Fulton is an Irrigation and Water Resource Advisor who covers Tehama, Colusa, Shasta and Glenn counties. “We actually just finished one of our irrigation experiment harvests this weekend. 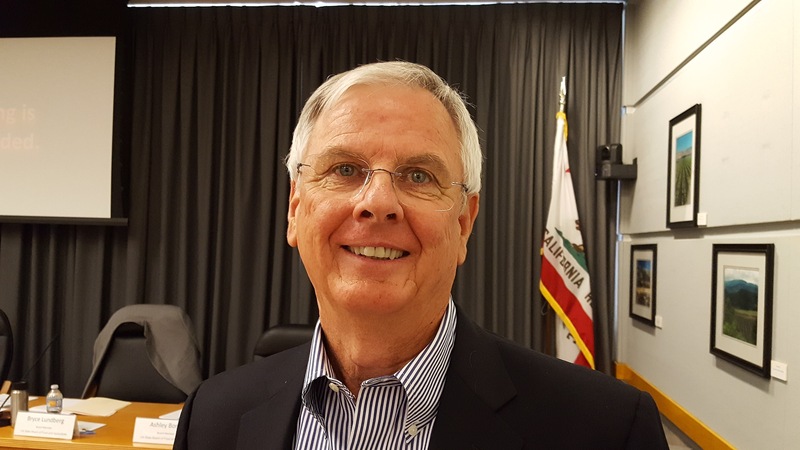 It was looking at early season water management decisions, basically deciding when to begin the irrigation season,” Fulton said. Growers typically begin irrigating their walnuts sometime between late April and early May. In order to be as thorough as possible in their experiment, Fulton and his team have been pushing the limits beyond what most growers would ever consider. “We had some treatments that got no irrigation until almost the end of June,” Fulton explained. Now in its third year, the research experiment is generating information that will provide a variety of benefits. “The whole motivation is to avoid possible injury to the trees from irrigating too much, too early, from lack of aeration and damage to the root system,” Fulton said. Delayed irrigation, while having no impact on yield or nut size, can also provide a bit of water savings. “We’re trying to look for the sweet spot,” with less intensive early season irrigation in favor of root health, tree health and disease prevention. The location of the research exposes groves to the opportunity to receive “more rain during the dormant season with a better chance at a deeper profile in moisture before you ever break dormancy,” Fulton said. More regional rainfall is possible in the spring as well, while the trees are growing. The information gathered so far indicates growers should not jump the gun on springtime irrigation, particularly if there is still any kind of standing water issues. “The data is starting to suggest that you’ve got some room. You don’t have to irrigate at the first sign of heat; you can use a little bit of the stored moisture coming out of winter,” Fulton said. He also noted “It’s a lot more difficult to recover from a damaged tree with a sick roots system,” than it is to recover from a lack of early season irrigation. People change careers for a variety of reasons, but Ken Erickson took that notion to an extreme. Erickson, who had grown up in the Detroit suburbs and who was serving as an Episcopal priest in Detroit, received a phone call from relatives who had been farming in Sutter and Colusa Counties for 25 years. Currently living in Meridian, Sutter County and working side by side with his cousin, Lars Jerkins, Erickson took stock, “We are enjoying living and working in the country. It’s great to work outside,” he said. People often ask Erickson about the difference between farming and pastoring. “I tell people trees are like people; they need lots of nurture and care, but they don’t talk back,” he quipped. With a predicted record 545,000 tons to be harvested, the walnut industry is getting very busy this time of year. Janine Hasey is a UC Cooperative Extension Tree Crops Farm Advisor and County Director for Sutter-Yuba Counties. She also assists growers in Colusa County. “Right now it sounds like we’re on track for that record production prediction to come true,” said Hasey. “Growers are now harvesting early varieties; I have just talked to a grower who doubled Serr production from last year, and her Ashley production has tripled or more,” Hasey commented. Growers have used a lot of Ethrel, a common late-season spray, to help speed up harvest and trigger a more even harvest period. “Some growers are saying it has worked, while others say maybe not so well,” said Hasey.